"[The] Chinese have been doing that to all defense contractors in the West." — Uzi Rubin, former head of missile defense at Israel's Defense Ministry. For the future of the free world, the U.S. and the international community must put an immediate end to this regular Chinese practice. 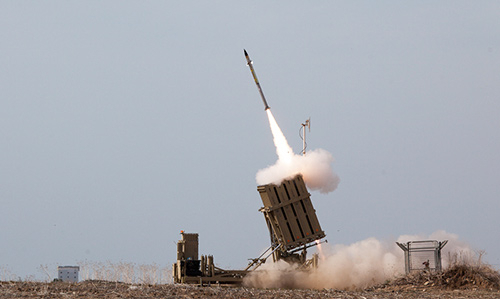 According to security expert Brian Krebs, writing in Krebs on Security, Chinese hackers have gained access to crucial information related to Israel's Iron Dome missile defense system. Iron Dome has been successfully intercepting rockets fired by Hamas from the Gaza Strip into Israel, protecting the Israeli population from harm. Krebs writes that according to Cyber Engineering Services [CyberESI], these latest cyber attacks, to steal crucial information regarding the missile defense system, were made by using "sophisticated tools" which resemble those used by Chinese hackers to steal information from U.S. defense firms. According to CyberESI, more than 700 documents were stolen from three leading Israeli defense contractors: Israel Aerospace Industries [IAI], Elisra Group, and Rafael Advanced Defense Systems. The stolen data were "in the form of Word documents, PowerPoint presentations, spread sheets, email messages, files in portable document format (PDF), scripts, and binary executable files." CyberESI also reported that the data included information on other systems such as the Arrow missile defense system and Unmanned Aerial Vehicles. CyberESI suggests that this hacking was done by the Chinese state-sponsored hacking group known as the "Comment Crew". 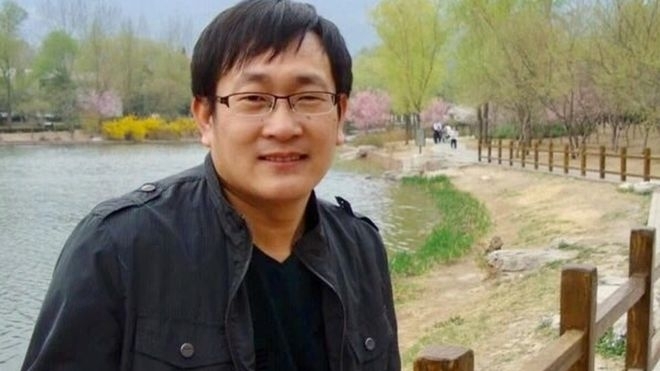 Members of this group, also known by the official designation "People's Liberation Army Unit 61398," were charged in May by the U.S. Justice Dept. "with a raft of criminal hacking and espionage offenses against U.S. firms". "We allege that members of Unit 61398 conspired to hack into computers of six US victims to steal information that would provide an economic advantage to the victim's competitors, including Chinese, state-owned enterprises," said John P Carlin of the FBI when announcing the charges in May. According to John Lindsay, a researcher with the University of California, the Chinese breach and theft of this classified information could either be the result of routine espionage practice, or it could be China's attempt to gain information specifically regarding the missile defense system. The latter claim is clearly more likely, given China's efforts at developing its own ballistic missile defense system. China is also reported to be working on interceptor missiles and anti-satellite [ASAT] weapons. According to Uzi Rubin, former head of missile defense at Israel's Defense Ministry, "[t]he Chinese have been doing that to all defense contractors in the West." John Lindsay, as well, has said, "The Chinese style of espionage is more like vacuum cleaner than a closely-directed telescope," although seemingly a highly-targeted vacuum cleaner, and that Beijing goes only after leading firms in particular industries. According to Israel Aerospace Industries, the Chinese hacking is "old news." IAI spokeswoman Eliana Fisher further clarified that "[t]he information was reported to the appropriate authorities. IAI undertook corrective actions in order to prevent such incidents in the future." In 2000, there were reports that Chinese government had hired hackers to steal information from an the Los Alamos nuclear weapons research laboratory in New Mexico, and obtained information from the laboratory on every nuclear warhead. Those included US W-56 warheads used for their Minuteman II, W62 and W-78 warheads from Minuteman III, W70 warhead for Lance SRBMs, W76 warhead for the Trident SLBMs and W87 for Peacekeeper. A report from 1999 also confirmed that China gained access to information regarding the W-88 nuclear warheads and their miniaturization process from the same laboratory. For the future of the free world, the U.S. and the international community must put an immediate end to China's regular practices of cyber espionage and theft of classified information from the defense industries of other countries. While I don't believe that we need to go to war over such espionage, I would think that the US would take severe economic sanctions against China for such thievery. If there was anything that was of a national interest to us, this would surely be it. As a former US Air Force senior officer, it perturbs me to no end to see the flow of Russian and Chinese military equipment that are visibly based on our technology and design. It's ludicrous that we seemingly do nothing in regard to this "poaching" .... enough is enough! This "he said, with tongue in cheek asides", is a strange article to produce at this time. This rehash of comments made from a 2000 press release brought up to date with musings from some agency in our capitol, really says nothing. Just when Israel has been successful in its defense for the moment, suddenly China is introduced as a "culprit" in this event. Someone in Washington, DC dusts off some old reports of cyber scrutiny and lo, the Chinese are the "enemy"....but of what? What the USA has been doing too! From what I read, it is Obama's clicque in the capitol that has been hamstringing Israel. Kerry and the other "Skull and Boneheads" have been shoring up Hamas,ISIS et al and making Netenyahu the Devil. They have gone so far to have the networks and their media hacks even question the effectiveness of the Iron Dome and some went further to suggest that Hamas had limited its usefulness. Poor Israel! At the moment it could take the territory, put a stop to the problem, Washington pulls the plug and so we get the apologists saying that Israel does better with the short view, not the long view! All (all!) defense industries intranets are physically separated from the open internet marketing sites. Physically. So none of the "facts" is true. We're at war. It's World War III. It's being fought between free countries, America and, on the front lines, Israel, India, the Ukraine, etc., against a variety of slave states, including mixed fascist-communist, China and Russia, Islam, any country in its grip, especially Iran, and dying pest holes such as communist North Korea. So far, it's a mix of a shooting war on the front lines and every form of deception and spying elsewhere. But make no mistake. Whatever lies their leaders tell to the contrary, the slave states will never stop, never rest, never quit, until all free countries are destroyed. And they will act together to accomplish this goal. My guess is that information gathered by Chinese spies regarding Israel's 'Iron Dome' is already in the hands of those who design the rockets that are fired at Israel. If not, it will be there shortly. We in the free world must not only put a stop to spying by China and other slave states. We should (I use should to imply a moral imperative) recognize that we are at war with vicious murdering little tyrants of one sort or another around the world. We should state clearly that we will take every action necessary to defend ourselves and then do so (while ignoring the vicious, empty howling and screeching from the Left that will inevitably result). Israel has some of the most sophisticated cyber-security know how in the world. If any country can protect their own systems against hacking, they can. I would not worry much.